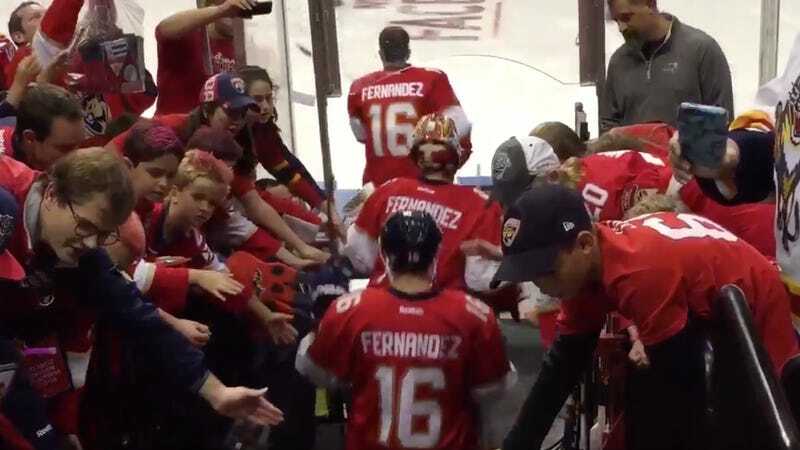 The Florida Panthers paid tribute to José Fernández this evening en masse by all wearing Fernández’s number 16 jersey for their season opener. Here they are taking the ice. The Panthers have a relatively active sartorial history, and today’s tribute was extremely sweet of them. Please look at the photograph above.